Just like that, another minor league regular season is in the books. The final edition of the HOTSHEET ranks the top performing prospects in August through the final series over Labor Day weekend in September. Prospect ranks are based on Tony Pente’s mid-season updated Top 30 Oriole prospects published back on July 17th. Check that out if you haven’t already. In case you’re unfamiliar with how this column works, it is based off of the Baseball America prospect hotsheet they post on a weekly basis that spotlights the top ten hottest performing prospects in the minors. The only differences are we only focus on Oriole prospects and we do this on a monthly basis. The rankings are somewhat subjective but I tend to emphasize who had the best ERA, FIP, K/BB ratio and Opponent Average for pitchers and Average, Home Runs, and OPS for hitters and rank them as I see fit. This time around, the pitchers dominate the list. Several lower level arms emerged this summer as guys you’ll want to follow next year in full season ball if they pitch anything like they did down the stretch. Number one on the list however is a former 1st round pick many had written off coming into the year but might want to rethink that with with dominant hitting performance he showed to end his season. Stewart had an excellent finish to his season, cranking out 8 home runs over his final 30 games after hitting 13 over his first 96 games. 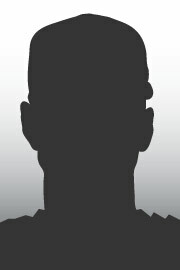 He showed above average plate discipline and base stealing ability too as he has all year. 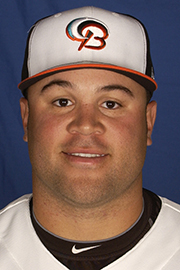 The Orioles rewarded Stewart by naming him their player of the month for August. After a disappointing start to his career, Stewart would appear to be back on the radar as a 20 prospect with his much stronger showing (.278/.378/.481 with 21 home runs over 522 plate appearances) at a higher level in 2017. He’s finally back! Harvey has been on the shelf for quite some time now but he finally returned to the mound from Tommy John surgery in August and showed us a nice flash of what made him an exciting prospect before and hopefully again. 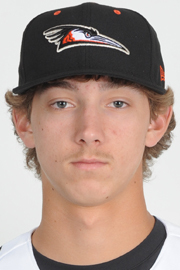 You may recall the Orioles opted not to sign their 4th round pick Jack Conlon back in July after less than favorable medical review of the high school righty. 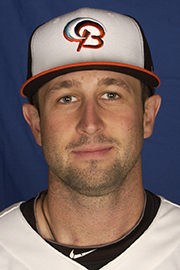 A byproduct of that decision was that the Orioles had extra money to throw at their 26th rounder Cameron Bishop. He was considered a potential top five round talent coming into the year but slipped in the draft due to an oblique injury that kept him sidelined during his junior season at UC Irvine. The Orioles liked how he had been pitching in summer ball and offered him 607 K to sign before the July 17 deadline and he now looks like a major steal with his performance thus far in pro ball. Speaking of pitchers coming back from the dead, Fenter finally returned to mound following Tommy John surgery. It’s a small sample of course but the former 7th rounder in the 2015 draft whom the Orioles gave a hefty $1 Million dollar signing bonus had an encouraging performance to finish his season. Hopefully, he’s ready to take off next year if the Orioles decide to move him up to a full season affiliate. 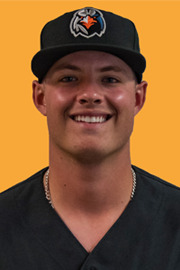 Baumann looks like a nice find in the 3rd round for the Orioles with the dominant showing for he had for the Ironbirds this summer. 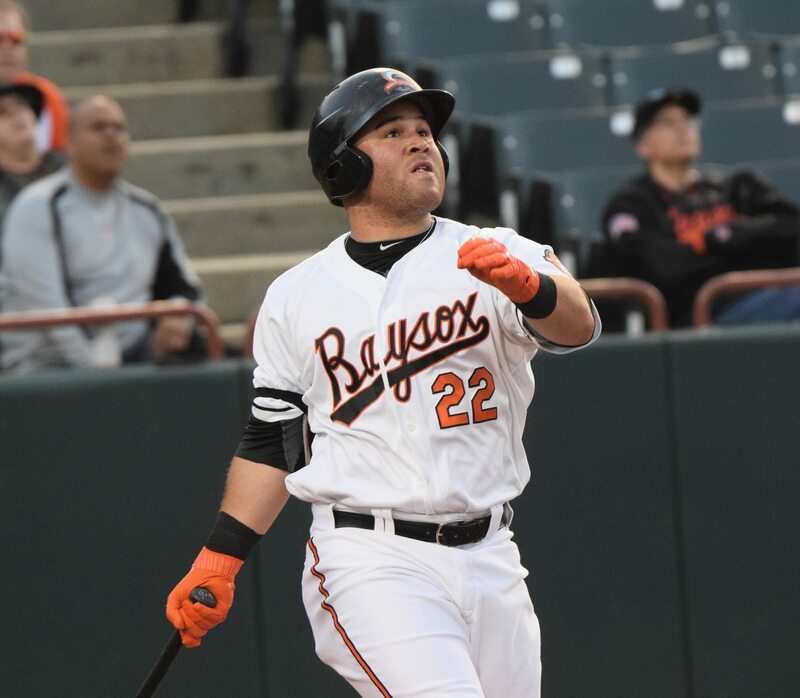 Hays didn’t slow down at all, putting up big numbers yet again in August in what has been one of the best performances we’ve seen from an Oriole minor league hitter in team history. He finished his year second in the entire minor leagues with 32 home runs and posted a .328/.369/.593 slash line while driving in 95, walking 25 times, and striking out 85 times in 548 plate appearances. 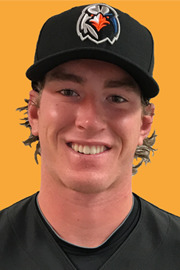 He’s a shoe in for the Brooks Robinson minor league player of the year award and one of five finalists for Baseball America’s overall minor league player of the year award. Oh, and the Orioles are calling him up to get his feet wet in the majors here in September. Lowther (the Orioles competitive balance pick (#74 overall) from Xavier this year) makes the HOTSHEET for the second consecutive month. He has shown all summer that short season ball is no match for him. He looks like a nice find thus far and could move quickly through the minors in the coming years if he continues to show an impressive blend of above average control and strike out ability next year. Hess had his best month yet to finish the season in what has been a much better showing for him in his repeat season at Bowie. 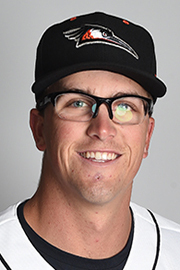 He ought to move up to Norfolk next year and could get a major league trial at some point if he builds off his solid showing at AA this year (3.85 ERA over 154.1 IP, 137 H, 16 HR, 53 BB, 123 K, .235 AVG). 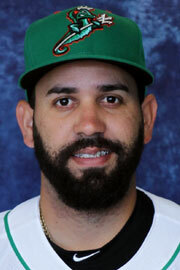 Ynoa saw some light at the end of the tunnel in August after struggling most of the year at Norfolk. 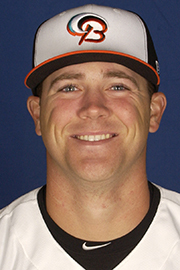 After finishing his season on a roll, the Orioles added him to their September roster. Given the current state of the rotation, Ynoa figures to get some looks as a long man, possibly even a spot starter. 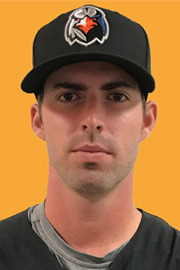 Wells has been on a truly impressive run of walk-less innings, ending his season without having issued a free pass in 68 consecutive innings. Yes, 68! That’s unheard of in these parts where many Oriole fans have been tormented for years by the control problems of the likes of Daniel Cabrera and more recently Ubaldo Jimenez. Let’s hope his stuff plays up at higher levels because it’s clear this kid can throw strikes. 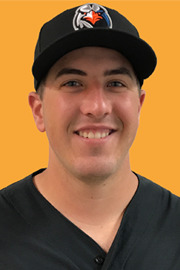 After finishing the year with a 2.38 ERA over 25 starts spanning 140 innings with 118 hits, 10 walks, 113 strikeouts, and a .222 opponent average, the Orioles justifiably named Wells their minor league pitcher of the year. On one hand, it’s been another disappointing year for the hulking young slugger in the sense that he unnecessarily missed most of the season with a broken hand suffered punching a wall out of frustration. 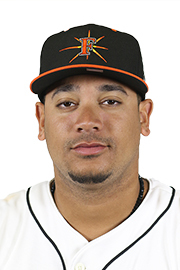 But, when healthy Reyes has shown an improved eye at the plate and posted a much better slash line (.302/.333/.434 in 190 plate appearances) then we saw from him at Frederick last year. He’s still just 20 and if he can put in a full season of work next year, perhaps we see a breakout offensive performance Oriole fans have been hoping for from Reyes. Long has quietly posted solid numbers all year and finished his season fairly strong although his .280 opponent average is higher than we’d like to see. Overall though, the sinkerballer had one of the more encouraging performances among upper level starters in 2017 (2.95 ERA over 128.1 IP, 124 H, 7 HR, 33 BB, 106 K, .256 AVG) and could factor into the Orioles plans at some point next year if he performs well at Norfolk. Here’s three lower level prospects that finished on strong notes and are worth a close follow in the future. 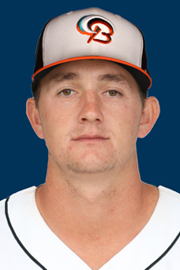 The Orioles drafted Ming in the 14th round this summer from Arizona. He’s more of a pitchability guy with middling stuff but he had a nice showing this summer and could jump onto the prospect radar next year if his arsenal plays against more advanced hitters. Vespi was a juco pick in the 18th round in 2015 who has been stuck in the lower minors for the last three seasons. That will change next year though after the dominant stuff he showed this summer in Aberdeen. He punched out an impressive 64 batters over 45 innings while holding opponents to just a .201 average. MLB Draft Countdown highlighted him as a draft sleeper a couple years ago for what it’s worth. While the paucity of walks is a red flag, Baez still had a nice showing to finish his first season of professional ball in the states. The lanky shortstop still has some plenty of projection left in his 6’3″, 175 pound frame and could be worth a follow if he makes strides with his plate discipline. Next articleManny Walks The Orioles Off In 7-6 Win!